The Internet allows us to break out of the confines of that impersonal office building or emotionally stifling cubicle. 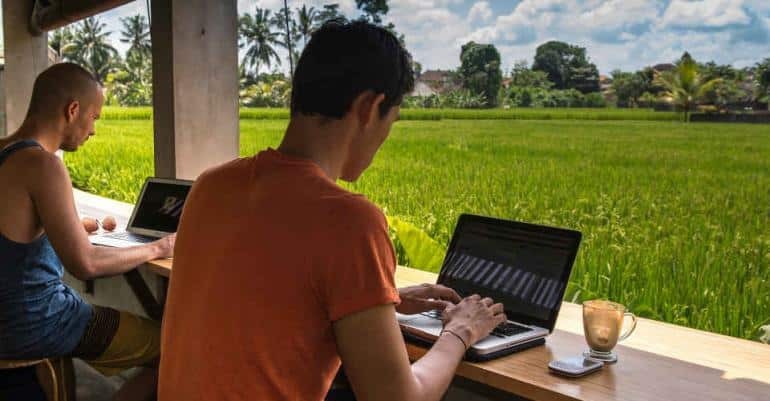 We can travel while we work (or work while we travel). It’s refreshing to be unconfined to one space or to an ordained work schedule. That freedom comes with some adjustments though. The more that you can anticipate the problems, the better able you’ll be to transcend them. What if there’s no Wifi? You need to confirm Internet accessibility before you leave home. If you’re depending on the tried and true Starbucks, first find out if there is one where you’re going. Difficult to imagine, but they aren’t in every nook and cranny in the world. Or, if there is one, find out if they follow the unofficial policy of “one purchase, one hour working time” that we’re used to. It would be embarrassing to be asked to leave. More important, your work is interrupted. 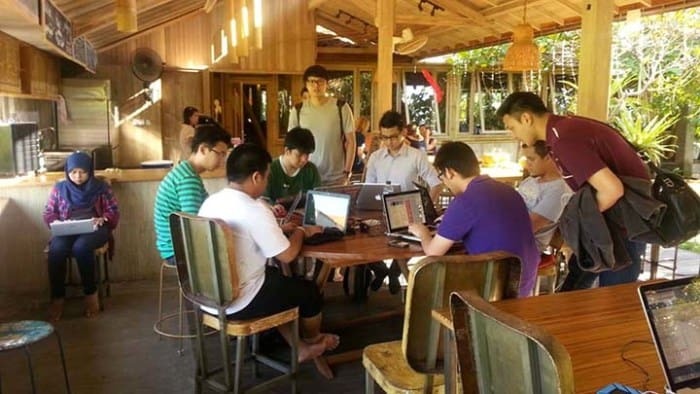 Find the locations of Internet cafes and their prices and policies. See if there are co-working facilities available. Some require membership in Copass. Many allow drop-ins. See if it’s feasible to travel by train rather than plane or car. Not only is it economical, but it allows you to work in comfort while in transit, with Wifi all the way. What if none of those ideas work out? It won’t feel like it at the time, but, really, no Internet connection for a period of time is not the worst thing in the world. Even Bill Gates “disconnects” one week a year, his “Think Week” to, no surprise, think. He credits this practice for some of his most innovative ideas. You can follow his example. Take a deep breath, step back mentally, and think: Are my work projects prioritized optimally? Are there work habits that are affecting me negatively? Are there ways I can increase my revenue? You can even think about something other than work! Have a notebook and pen with you. You remember them, don’t you? Jot down ideas that come to you during the down time. You think you’ll remember, but you may not. Why chance it? What will I wish I had with me? 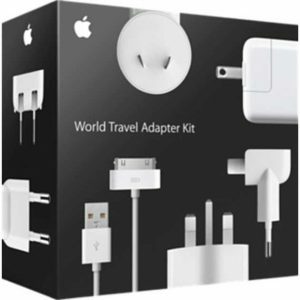 An international outlet adapter, preferably one that comes with plugs for Europe, North America, Japan, China, United Kingdom, Korea, Australia, and Hong Kong. Quality headphones—earbuds aren’t effective when you have to block out noise. A World Clock app to keep track of time zones so you don’t call a client at at 3a.m., her time. Your Nespresso machine and Gourmesso Coffee Capsules from www.gourmesso.com so you’ll have the comfort of home however far away you are. Be thoughtful toward your clients. Let them know if you’re going somewhere with limited connectivity and factor that into the completion dates that you promise. Have Skype and Google Hangout set up for conferencing with a client, but avoid real-time communication as much as you can—the time difference problem could rear its ugly head. Email works best. You send it at your convenience; the client reads it at his convenience. Don’t fall into the trap of becoming so enamored with a new location that you put aside your work responsibilities. Just as important, don’t become so engrossed in work that you never see the light of day. You keep an organized schedule of what work has to be done when. You need to make a schedule for when you’re going to have fun. Deadlines are easier keep when there’s a reward awaiting you. If you’re new at working while on the road, you’ll run into glitches, but you’ll solve them and learn from them like the pro you are.